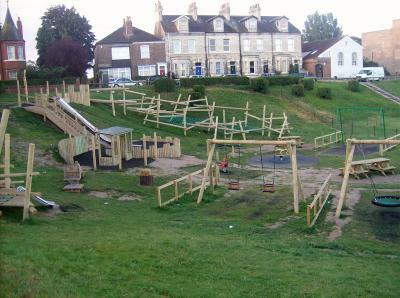 In Acomb, this summertime’s play has been enhanced by this new playground, recently installed. An email from Acomb alerted me to it. Thanks to Sean, who also sent me these photos. I don’t often pass Acomb Green these days. Used to know it well though. 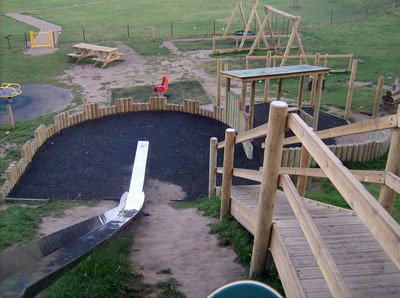 When we were young we had the usual 1970s/80s metal swings, slide, and roundabout. This looks much more impressive. There’s so much going on in the centre of York, in the ‘historic core’ within the walls, and also around our two universities. I notice in particular that despite the difficult economic climate there appears to be money pouring in to our art galleries and museums, and the university sites, with a real buzz about the place, and endless enhancements. I’ve wondered if perhaps things don’t feel so exciting and inclusive if you’re living in the city’s suburbs, where it may be more a case of places closing down, rather than opening up. 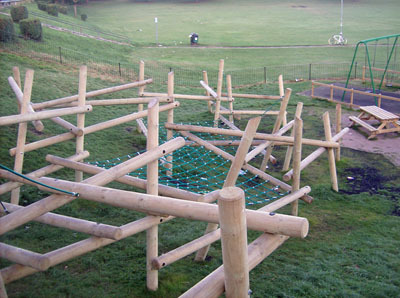 By Lisa @YorkStories • 12 August 2012 Green places To link to this page's proper location please use the > permalink. Hello, Just read this piece on the green and thought I would provide a link to how the green got its funding and the process behind it. A local lady called Judith did all the work and she is part of the Friends group for the green. I asked her to write something and I have done a bit more research and we can still get lottery funding for these types of projects. So other areas in the city could easily be regenerated if someone has the time. I have managed to get some help to develop TalkYork and I hope it now looks a bit more usable. The aim of the site is to become a useful point of information for all things to do with York. I hope the story below helps someone else. Thanks John, great article. Have included your link in the ‘More info’, above. Your site’s looking good. Great review of the work done by the friends of Acomb Green.Shows what a group of locals can achieve! Well done Jude for getting the grant!! It’s great to see people bringing a picnic and enjoying the Green.